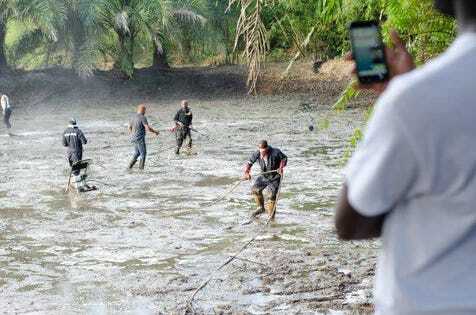 Cleaning up the oil spills along the Niger Delta is no quick or easy task. Yet for one 501(c)(3) non-profit it’s dedicated to alleviating the oil spill issues by Shell and other companies, which are impacting people’s lives, through the use of the blockchain. U.S.-based Sustainability International has, for more than a year, been chipping away at the effects caused by oil pollution. When I last spoke with Chinyere Nnadi, founder and CEO of Sustainability International and Sela Technologies, a platform that enables transparent execution and measurement for sustainable development projects, in October 2017, he told me that the organization was working on revitalizing the region through its Clean Up Niger Delta Project. Back then, Nnadi noted that it was important to first understand the task at hand and to raise awareness about the impacts it’s causing. Last April, the non-profit started executing its pilots with the launch of the Sela platform, in the Niger Delta, specifically in K-Dere, a village located in Ogoniland, situated off the coast of the Gulf of Guinea in southeastern Nigeria. Here the team at Sustainability International were able to get back to the village to conduct an oil spill cleanup of one fish farm in addition to employing local women and ex-militants to aid the process. The team are aiming to roll out their full-scale ongoing cleanups of the Niger Delta in May. Considered the most polluted region along the Niger Delta, the United Nations Environment Programme (UNEP) indicated in 2011 that it would take up to 30 years for a full environmental restoration to be complete in Ogoniland. According to a 2017 report from the Guardian, a study found that babies in Nigeria were at double the risk of dying before reaching a month old when oil spills were within 10km of a mother’s place of residence. According to Nnadi, the set up of new pilots in the area was a big learning experience for them regarding the technology and user experience standpoint. For instance, they thought that every worker would use the Sela wallet. However, restrictions with some of the workers meant that they hadn’t received the best education or were living far off the grid. Another learning curve was the understanding that it was better to find a leader to be in charge of six or seven men, making him responsible for submitting the data and becoming a trustworthy person in the process, thereby changing his mindset and behavior with capital and technology. Nnadi noted that the third, and probably most interesting, insight for the Sela team was finding out that half of the women that the organization hired were illiterate. It wasn’t until the end of the experiment that the team realized this was the case due to the fact that the use of the Sela app was simply a case of following actions, he said. As a result, the team are now conducting research in Switzerland with the IDIAP Research Institute, a non-profit research foundation, connected to the École Polytechnique Fédérale de Lausanne (EPFL) laboratory. Over the next two years research will focus on AI and impact measurements, such as computer vision for satellite and drone data and voice recognition. This will show whether the river is being cleaning, confirming what a person is submitting on Sela. Created as an economic platform for a sustainable future, Sela is designed to remove traditional barriers of entry for capital into the emerging world. It does this by introducing trust and transparency into transactions by tracking capital flows and rewarding trustworthy behaviour through what is known as the Sela Reputation Score. In turn, this will help to rewire a nation where corruption and bribery are rife. According to Sela’s whitepaper, it is aiming to directly address seven of the UN’s Sustainable Development Goals (SDGs): poverty, hunger, health, clean water, economic growth, sustainable development, and environment. By delivering tools to its users, they will have the ability to create a measurable impact on the seven SDGs in the emerging world. The Sela utility token, which is expected to launch in 2019, will be used to reward users, increasing their access and opportunities to funders and projects on the Sela platform. As a digital asset for the emerging world, it becomes a vehicle for savings as well as acts as a method of payment on the platform, said Nnadi. Aside from cleaning up the Niger Delta, Sustainability International has plans to build affordable housing, costing around $35,000, in East Africa, specifically in Ethiopia, Kenya and Djibouti. The $5 million project is hoping to receive funding from the Overseas Private Investment Corporation (OPIC) and the World Bank. Beginning in July, the first pilot will take place in Ethiopia, which will see the construction of 100 homes, with the build expected to take four months to complete. The end goal, however, is to build over 10,000 affordable homes over a five-year period. Nnadi said the government is behind this and corporate partners such Ethiopian Airlines will be providing homes for their citizens and employees. “The reason why they are very much in line is because housing is a massive problem in Africa and it’s something that everybody wants to solve,” he said. At the same time, though, Nnadi argues that there is a demand for capital to flow into Africa, but lack of trust and accountability deters it. Similar to the cleanup along the Niger Delta, the housing project requires transparent transactions and stakeholder engagement to ensure that capital is being effectively delivered and that milestones are being hit. Just as claims have been made that companies are cleaning up the Niger Delta, which oftentimes turns out to be false, the same has been said about affordable housing and development projects. Sela will enable the tracking of the work being done through data collection from the community. After the properties have been built, the property deeds will be turned into digital assets with the property available for sale to anyone in the world. Nnadi explained that people in Ethiopia will then rent the property from the owner. It ends up being a way of ensuring that houses are built and that people can receive mortgages.